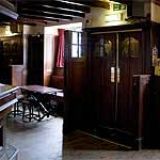 The Clutha is a historic pub which is well known for its live music. 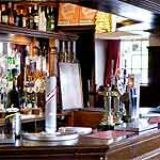 Now linked through to its sister bar the Scotch Corner, you can enjoy both venues via the beer garden. 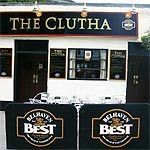 What did you think of The Clutha? 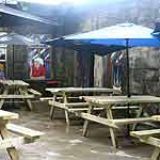 Love love love the Clutha/Victoria bar bistro !quality service Good Fresh Grub!Fantastic live music!Beer-Garden its like a hidden gem the middle of the city !great place ! Better beware if your an "out of towner/tourist" entering this establishment .The " not so bad or good " (pretty average )thursday night blues entertainment threatened me to leave or risk life and limb. 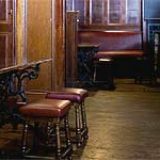 Nobody minds some good hearted fun or a one on one challenge but this venue lets the the tail to wag the dog and the band to intimidate the patrons...not a recommended visit after daylight hours. I felt lucky to out before the incited locals listened to the "bully" lead singer / tamborine player ... and decided to jump me . A least where I come from we fight our own battles and aren't so "tough" as to need to get others to do it for us . "North Vancouver"